Mutual funds provide diversification, professional portfolio management, and liquidity for both small and large investors. Each fund pools the money from its investors and then purchases a portfolio of securities that is held and traded by the fund managers. Each fund is its own separate security that is bought and sold, and trades at its own price. This price has two sides, the Net Asset Value (NAV) and the Public Offering Price (POP). Understanding how the NAV of a fund is determined will help you to see the relationship between the fund share price and the collective prices of the underlying securities held therein. NAV and POP apply specifically to open-ended mutual funds that can only be purchased and redeemed directly from the fund company. Shares of these funds do not trade in the secondary market. Closed-end funds and Exchange-Traded Funds trade on the exchanges, and they are quoted with a bid and ask price just like other single securities such as stocks and bonds. Conceptually speaking, the NAV is equivalent to the bid price, which is the price that the fund company will pay to shareholders who are selling their shares back. The POP equals the ask price, which is the price that the fund company charges buyers. The difference between these prices typically equals the amount of the sales charge that the company is assessing on the purchase. The formula used by the fund companies to determine the Net Asset Value per share of a fund is fairly simple. The total liabilities of the fund are subtracted from the total assets and the remainder is then simply divided by the total number of fund shares. The Net Asset Value is therefore the composite price of all of the net equity in the fund on a per-share basis. This calculation is made at the end of each trading day after all transactions have settled and all securities held by the fund have stopped trading. The Public Offering Price is always then based upon the Net Asset Value. Because the NAV of a fund reflects the composite prices of all of the securities it holds, it will rise when the price of the majority of those securities rises and fall when they fall. Investors can therefore watch the NAV to see whether their funds are increasing or decreasing in value. 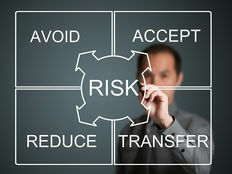 However, the price of open-ended funds cannot be inflated by investor demand the way they can with a stock or other security that trades in a secondary market, because, as with the namesake they bear, open-ended funds theoretically have no limit on the number of shares that can be issued. As long as money continues to pour into a fund, the company will issue new shares for purchase, and the price per share is solely dependent upon the prices of the securities in its portfolio. 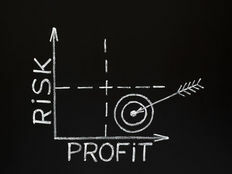 When a stock is in demand, its price will rise as a direct result of buying pressure because there are only a limited number of shares, and any new issue of shares will dilute the price of all shares that are currently outstanding proportionately. However, there can come a point where a fund grows to a size where the managers have too much money to invest, and then the fund may be closed to new investors. Closed-end funds and ETFs do have NAVs per share, but supply and demand can push the prices they trade at above or below this price. If they are trading above this price, they are trading at a premium; below this price means that they are trading at a discount. It should be noted that changes in the NAV of a fund from one day to another are fairly insignificant. Most mutual funds are designed to be held for longer periods of time, and it is seldom practical to try and trade open-ended funds to profit from short-term market swings. Furthermore, the NAV will not reflect the value of any interest or dividends that are paid, which can provide a significant amount of the total return posted by a fund. 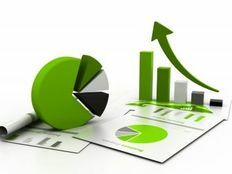 Investors therefore need to look at the total return posted by a fund in order to gauge its value. Money market mutual funds typically have a constant, stable NAV of $1.00 per share, and they are usually the most liquid kind of fund. There have been instances where this value fell below a dollar per share, but this is very rare. A mutual fund’s NAV reflects the composite price of all of the holdings in its portfolio. This price is recalculated every day based on the changes in price of those securities. The NAV will rise in price when the portfolio value increases and fall when it falls. This price also equals the selling price for shareholders who wish to redeem their shares.